Product prices and availability are accurate as of 2019-04-06 14:48:12 EDT and are subject to change. Any price and availability information displayed on http://www.amazon.com/ at the time of purchase will apply to the purchase of this product. 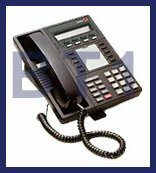 Legend MLX-10DP Telephone Refurbishedu. AT&T Legend MLX-10DP Phone --The AT&T/Lucent/Avaya Merlin Legend MLX 10DP phone has a display and ten programmable buttons, conference, transfer, hold, mute, HFAI, speakerphone, and a message waiting light. Its features include conference, transfer, hold, mute, HFAI, a built in 2 way speakerphone, and a message waiting light. The tray could be pulled out for feature quick-reference. The phone can be desktop or wall mounted. It is compatible with Lucent Legend Multi-Function-Module that allows connection of a fax machine, modem or any other single line device. Also, it has dual LEDs on each programmable button and 4 soft keys for programming through display. Compatibility. The Legend MLX-10DP is compatible with MLX digital extension ports on Merlin Legend 008 MLX, 408 MLX, and 016 MLX expansion modules. 2-Year warranty. Quality Product & complete. We ship most items the same day! We are a 13 year A+ rated member of the Better Business Bureau! We work hard for our customers.